Bouquet d'Arlay II tapestry shows a lush collection of flowers and fruit on a fantasy landscape background. In this piece we see grapes and melons among flowers of an array of colors from yellows to pink mauves, blues and whites. The background is subdued and the foliage of the trees compliment the flowers in the foreground well. 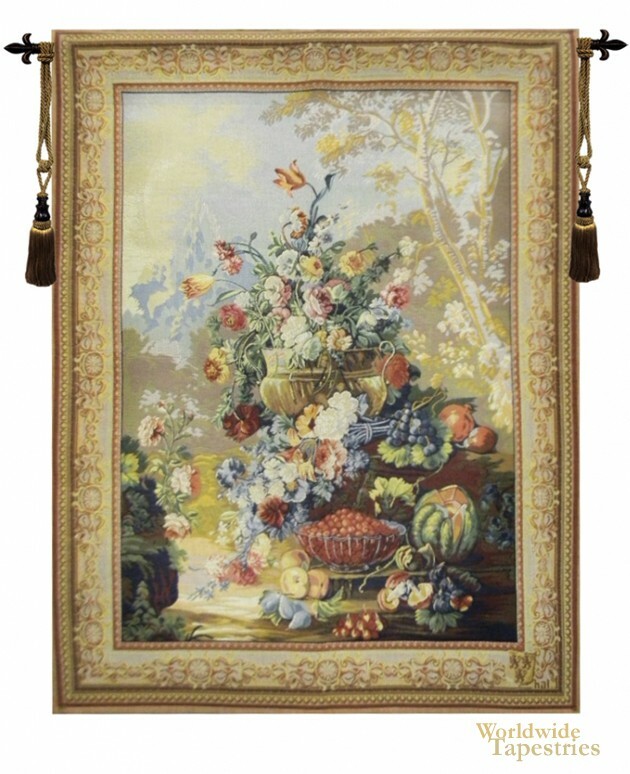 The Bouquet D 'Arlay tapestry is backed with a lining and a tunnel for easy hanging. Note: tapestry rods and tassels, where pictured, are not included in the price. Dimensions: W 34" x H 42"